Integrated Environmental, Inc. ("Integrated") was awarded a contract by ASTS, Inc. (now Sivuniq, LLC), an Alaskan Native American Corporation working under contract for the U.S. Army Space and Missile Defense Command. The initial project objective was to evaluate remedial technologies for testing and implementation at one site located at Ft. Greely as part of the 2005 U. S. Congress mandated Defense Base Closure and Realignment Commission Program. The site is the location of extensive vadose zone soil and groundwater contamination associated with historic releases of petroleum, oil, and lubricants. 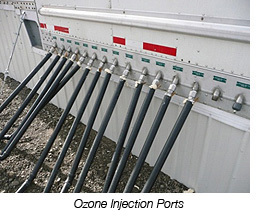 Following completion of a Feasibility Study, our task assignments were expanded to include supplemental investigation of the nature and extent of the subject contamination, implementation and oversight of the field work, development of a remedial strategy consisting of in-situ oxidation using ozone including the design, construction, and installation of the largest such treatment system currently in operation, worldwide. Implementation of a comprehensive investigation of a Leaking Underground Storage Tank (LUST) site and remaining property for the presence of hazardous substances. The Site is a historically designated property constructed in 1929 by the Fisher Family as an orphanage. The LUST site was subject to the Part 213 Program of the Natural Resources and Environmental Protection Act (NREPA), while the non-LUST areas were regulated under the NREPA Part 201 Program. The compliance provisions for these two programs were distinctly different, including reporting obligations. As such, special diligence was required to assure that both program requirements were complied with, including the use of two Senior Project Managers as Project Lead personnel on-site (i.e., a Part 213 Lead and a Part 201 Lead). 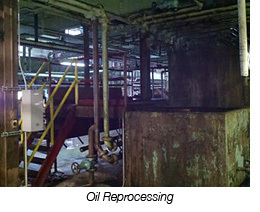 Integrated was retained by environmental legal counsel on behalf of an owner of an oil reprocessing facility in Detroit, Michigan. The facility had been leased to a series of operators who sequentially left the site, ultimately leaving the owner with 285,562 gallons of wastewaters and sludge in various phases of processing and/or post-processing. The MDNRE was pursuing enforcement actions against the former operators and potentially, the facility owner associated with the abandonment of liquid industrial waste and possibly RCRA-regulated waste. 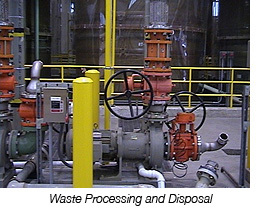 Integrated was retained by the facility owner to properly characterize and disposition the 243,230 gallons of waste; comply with all of the applicable laws and regulations associated with the processing, disposal and/or sale of the materials (42,332 gallons of materials were sold); prepare the facility for a close-out inspection by the MDNRE and sale or reuse of the facility; and provide the documentation necessary in support of litigation as part of a cost recovery action against the respective responsible parties. Integrated was retained by a charitable foundation to assist with the restoration and development of a blighted industrial area encompassing about 75 acres of waterfront property with more than a mile of coastline. The development site consists of more than two dozen individual properties that were used since the 1800s for bulk petroleum storage, paper and soap manufacturing, rail yard and railroad roundhouse, railcar ferry, metal scrap yard, deep water terminal, electrical power production, dry dock and concrete manufacturing. Integrated's activities consisted of pre-property acquisition environmental due diligence including the completion of geophysical surveys to target buried metal and non-metal materials. Interim remedial response activities including building decontamination / demolition, and post remediation site restoration. Integrated assisted with the development of Brownfield and Waterfront Redevelopment Grant applications and U.S. Army Corps of Engineers and MDEQ permitting associated with the construction of a marina and shipping channel/shoreline restoration. 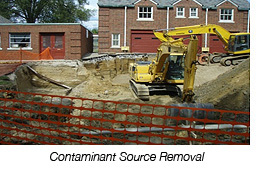 The site remediation and restoration resulted with no restrictions being placed on the land due to contamination. 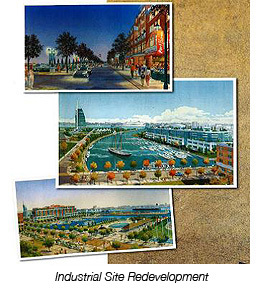 The 200 million dollar development consists of a high-rise office building, YMCA, retail shops, a marina, deep water dock for cruise ships and the mooring of a Tall Ship, River Walk, Museum, and Navigational Center. Midwest Region of the U.S. Integrated specializes in working with industrial wastewater dischargers to evaluate treatment systems to maintain compliance with discharge permit limitations, optimize system efficiency, and reduce operating costs. The system modifications are both physical and chemical to include the addition of new innovative equipment or treatment technologies, modifications to plant processes to better control quantity and quality of wastewaters entering the treatment system, piping reconfiguration, addition of spray bars to reduce drag-out and prevent cross tank or treatment system contamination, pH and ORP probe upgrades, optimizing of pH and ORP control ranges, and modification of treatment chemicals, feed rates and associated treatment times, and improvement of general housekeeping practices. As a result of the treatment system modifications, the companies are able to maintain compliance with their discharge permit limitations and decrease water usage in the plant processes. 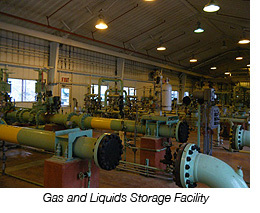 The decreased water usage and treatment system modifications generally reduces the company's overhead by lowering the company's monthly water bill, reduces the amount of water needing treatment, reducing the potential for penalties and associated costs for permit violations, and optimizes chemical usage for treatment. Integrated completed air permit modifications for a gas liquids storage facility pursuant to the Clean Air Act. The facility operates a propane and butane storage facility which includes nine underground salt caverns with 285 million gallons of storage capacity; two additional underground salt caverns in development; a flare to control VOC emissions; and rail, truck and pipeline connections providing an important supply point for refiners and wholesale propane distributors in the Midwest, Sarnia, Canada and Northeast markets. The facility removed a natural gas fractionation process from the facility which reduced their potential-to-emit emissions to less than the Title V permitting thresholds. Integrated developed and negotiated a Site-Wide General Air Use Permit for the facility with the Michigan Department of Environmental Quality. Use of a Site-Wide Permit and not a Title V Renewable Operating Permit streamlined operations by reducing cumbersome permit requirements and the air use fees levied by the State. 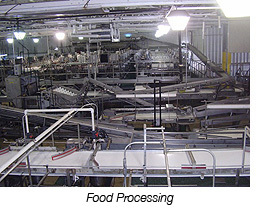 Through its affiliate, Deep Injection Well Systems, LLC, a California Corporation, Integrated developed a wastewater treatment and disposal strategy for a major food processor to include evaluation of many pre-treatment technologies focusing on those with the potential for water reuse and cost-recovery for the solids management. The strategy included the prospective final disposal of wastewater using deep injection wells and a U.S. EPA permit application was developed for submittal to the federal Underground Injection Control Program. Integrated was also retained by the major food processor to conduct an environmental and occupational health and safety audit to assure operating compliance with federal, state, and local regulations. The audit process consisted of the development of a matrix of all potentially applicable regulations and determination of the specific requirements and current facility compliance status. Working with facility personnel, Integrated implemented corrective actions including the design and installation of waste processing equipment, and developed requisite compliance plans. 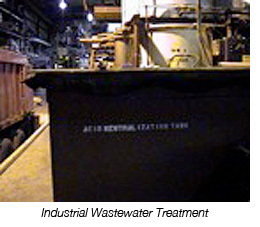 Integrated was retained by a hazardous waste Treatment, Storage, and Disposal Facility (TSDF). to conduct personnel training. The TSDF is designed to process predominately liquid hazardous and non-hazardous wastes with final disposal being via deep injection wells. Integrated is intimately familiar with and has extensive experience with RCRA/Part 111 compliance programs as well as those associated with the operation of deepwells (Integrated has an affiliate company Deep Injection Well Systems, LLC which specializes in projects involving this technology). In addition to its regulatory status as a TSDF, the facility is also a generator of hazardous waste (i.e., the solids generated through waste processing which are not disposed of using the deep injection wells). The TSDF is regulated by both the MDEQ and the U.S. EPA. The MDEQ regulates the above-grade waste operations pursuant to Part 111 of the Natural Resources and Environmental Protection Act, and the deep injection wells are under the authority of the U.S. EPA Underground Injection Control (UIC) Program. In support of the regulatory compliance services we provided to [Integrated also worked on the Part 111 Permit Application (PA) and developed a comprehensive compliance matrix pursuant to the Operating License (OL)], Integrated Senior Principal, Senior Project Managers and Technical Specialists, train personnel as required by the applicable laws and regulations embodied in large part by the Part 111 OL and the PA. Due to the experience of Integrated's trainers working at and with industrial processes and, in this case, our involvement in the development of the PA (the OL was issued based on the PA submitted), Integrated was uniquely qualified to conduct the requisite regulatory compliance training. Integrated was retained by a chemical manufacturing facility to conduct personnel training at their Michigan facility. 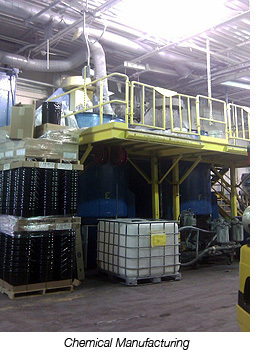 The facility is engaged in the manufacturing of paint and is supported by a research and development laboratory. The facility is a large quantity generator of hazardous waste, produces non-hazardous industrial wastes, offers goods for shipment, generates MSDSs per TSCA, and has OSHA compliance obligations associated with their manufacturing operations. In support of the regulatory compliance services we provide Integrated Personnel trained employees as required by the applicable laws and regulations. Integrated trainers are seasoned professionals who have extensive practical experience working at and with industrial processes and the associated applicable environmental and occupational health and safety regulations.